I Need Help- Mass RTN? Ulns = ultra low nutrient system. OP - any chance any foreign objects entered the system. A coin, paper clip, chemical,etc? Or even cleaning done near the tank? If you are on the full site it shows location under youre username....he is in CT. Lol...nowhere near you or me! Dropped's Reef - 1 year old! This does sound like lack of oxygen. It reminds me of when I had issues running a small frag tank in my garage with a canister filter. I wasnt getting enough oxygen and the water developed a nasty film. I remember the water being cloudy like that as well. I also had a good amount of surface movement but with a good surface film, it didnt matter. I ended up fixing it with an aerator inside a hang on filter. It did a good job of turning over and aerating the water column. Have you checked you ph? If its low thats another sign of oxygen being an issue. I totally get that about the 50 being good outdoors now that you mention it. Same about the bokeh. I think the next lens I want to get will be the canon 18-135, but it will probably be a while before that happens. I do have 1 other lens, but not many good pictures worth sharing yet. Mostly because I dont own a tripod and its not the easiest lens to use. Its an old minolta zoom lens that my father in law gave me. Its actually a cool story. He bought it to bring woth his 35mm film camera when he went to the 72 Olympics in Germany. I had to find an adapter for it to mount to the canon body but it works. I have 1 semi good picture from that Red Sox game...ill see if I can find it. Man i really want to like that nifty 50 but it just seems too close. The 40 might be doable tho. The 24 just seemed like such a good versitile lens. I wanted a bit of wide angle for landscape, a nice portrait lens with crisp color rendition, very quick AF, and its quiet as hell for video. It may not be L glass but it was only $150. And thats expensive enough for me right now. Thanks bud. Not sure what camera body you shoot with but the t2i Im using is a cropped sensor so it magnifies by a factor of 1.6. Therefore, Im effectively shooting at a focal length of about 38mm. So if you are using a full frame camera body with a 35mm lens, thats actually almost the same as far as focal length is concerned. Thats actually why I chose the 24mm lens tbo. 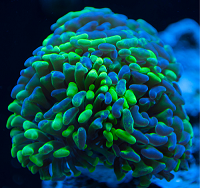 Also just a cpl things to mention when buying aqua/maricultured coral. Most ppl believe that aquacultured coral is a lot hardier as it is already acustomed to life outside of the ocean. They can typically handle parameter swings better than maricultured corals that are used to the stability of the vast ocean. Also, you typically have a better chance of getting pest free coral when buying aquacultured corals. Specifacally for when buying maricultured SPS, you will most certainly want to do at the very least 1 dip in Bayer....most ppl will recomend multiple dips. People usually cut the coral off of the rock that it is mounted to as that is what can almost always carry pests. Buying maricultured sps is a great way to get larger pieces, sometimes even colonies, at a much more reasonable price tag. Just be careful to ensure that your parameters are rock solid and watch out for pests. Basically this. Maricultured is where they set up grow out frams in the ocean....like this: Aquaculturing is farming within a tank in a facility such as a garage,warehouse, store, greenhouse, etc. I defintely feel ya there. Life is so crazy for me right now and I dont see it getting much better any time soon. All you have to do is walk out ur front door and you have beautiful scenery to shoot though! I would love to be able to photograph some of your vinyard! Wow, thank you for such a compliment! Yes. Shooting in RAW and post editing in lightroom.